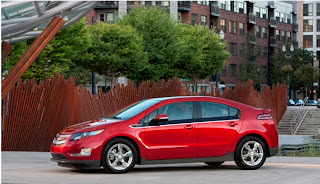 Okay, here’s a photo of the new Chevrolet Volt, without a doubt one of the most interesting new concepts to come out of GM, let alone the U.S. auto industry. While many companies mess about with plug-in BEVs (Battery Electric Vehicles), General Motors has produced a car which, whilst expensive, can actually travel more than 100km. It’s an Extended Range Vehicle - meaning, it has a small gasoline motor to recharge the batteries, thereby extending its range beyond its plug-in power. That’s the good news for General Motors. Now the bad news for the newly-Public corporation. It’s the same old, same old. Business as usual, and all the fractious practices that led the old-GM into bankruptcy. Motown, it seems, is not a ‘new-ideas’ factory, when it comes to selling! Reports coming out of the Chicago Auto Show this week reveal GM is leading the U.S. auto industry back into a downward spiral, generated by discounting! Yes, it’s rebates to drive sales! Not exactly a new idea. It is the most serious negative to hit the slowly-recovering U.S. auto market - and guess who’s driving it - General Motors - it can’t help itself! Maybe it’s escaped the idiots in the ivory tower known as the Ren Cen (the Renaissance Center, where GM has its Detroit headquarters), but there is no more Big 3 in the USA - it’s the Big 7. There are many more competitors than in past decades, all on an equal footing in the market place. 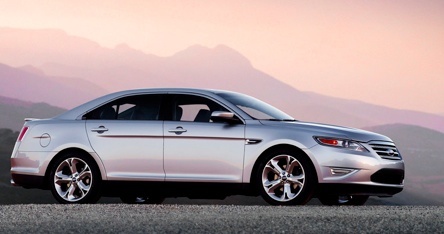 American car buyers were so shell-shocked by the GFC, when two of the Big Three took a big slide, that a few other able, and smarter, competitors started to gain traction. Think Nissan, Hyundai, Toyota, Honda and yes, Ford. The pie is no longer cut three ways, and here is GM pushing rebates as a way to assert itself. Guess what? GM’s new cars are good, but they’re not that good. 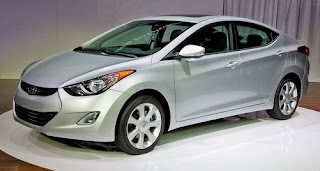 Hyundai and Nissan particularly, have signaled they are both very, very serious about getting a bigger foothold in the American market - and both those companies are rolling out new products at a speed that makes your eyes water. Still, the Renn Cen suits think GM can still be number one again. Maybe they can lead the sales race until the rebate money runs out, but they won’t win in profitability or be able to sustain the business. As far as Detroit’s former Big Three is concerned, that mantle will likely be held by Ford. It is making money under Alan Mullally! Forget Chrysler! Not only is it a shadow of its former self, but Sr. Marchionne will make Chrysler do what’s good for Fiat Group - and American consumers may not warm to that vision. Sales in 2011 have rocketed off the launch pad, and some analysts say it will be a boomer year. Other, more prudent observers are saying, “Let’s wait and see how the first half ends. Let's measure the cost of sales” The GM suits may well sell more cars, but at what long term cost. Discounting almost killed the Big 3 last time around, and many people just see the same old, same old.